Equity is the part of your property that you actually own. If you own property that’s worth $250,000, and you have a mortgage with a remaining loan balance of $100,000, your equity in the property is $150,000. Repeat home buyers usually rely to some extent on the equity in their current home to help buy their next home. The more equity you have, the larger the possible down payment for the trade-up home. 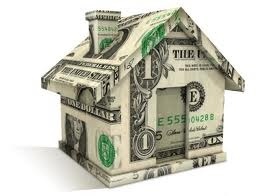 Ask your lender about setting up bi-weekly mortgage payments.